There's been a lot of interest in the current Goodies Giveaway - a copy of Jacqueline Mallorca's Gluten-Free Italian cookbook, just published this month - but there's still time get in your entry. Just write a comment to the post on your favorite Italian food, along with a way for me to contact you if you're the winner, by Sunday, November 1. 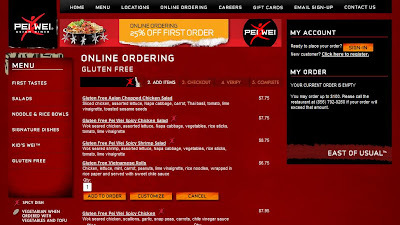 On Wednesday, I wrote about Pei Wei Asian Diner's gluten-free menu and the cool option to place a take-out order online. Now all they need to do is offer a delivery option! I added a slew of dining establishments to the blog's restaurant list this week. I'll start in my home state of New Jersey, where Harrah's Resort in Atlantic City, New Jersey (777 Harrah's Boulevard, 609-441-5165) has several eateries that accommodate gluten-free diets: Reflections Café, Waterfront Buffet, Polistina's Italian Ristorante and The Steakhouse. Polistina's serves gluten-free pasta upon advance notice, so request it when making a reservation. In Lawrenceville, New Jersey, Chuckles Pizza & Pasta Restaurant (160 Lawrenceville-Pennington Road, 609-895-6660) recently added pizza, pasta and desserts to its menu. The pasta includes ravioli, gnocchi and stuffed shells served with gluten-free bread, with brownies and carrot cake for dessert. The owner told me that he uses dedicated pans and slicers for the pizza and separate pots and utensils to prepare the pasta. In Wilmington, Delaware, Fresh Thymes Cafe (1836 North Lovering, 302-656-2026) offers gluten-free bread at breakfast and lunch. Last but not least are some new spots in Pennsylvania. Melodia Grill in Souderton (664 East Broad Street, 215-721-4000) is a contemporary Asian-influenced BYOB. The other restaurants, all in Philadelphia, participated in the recent Appetite for Awareness event: Agiato, a soon-to-be-opening Italian located in Manayunk (4359 Main Street); City Tavern, a colonial-style American (138 South 2nd Street, 215-413-1443) and Beneluxx Tasting Room, a Continental restaurant with Belgian influences (33 South 3rd Street, 267-318-7269), both in Old City; El Camino Real, a barbeque and Tex-Mex joint in Northern Liberties neighborhood (1040 North 2nd Street, 215-925-1110); Chifa, a Jose Garces-helmed Latin-Asian fusion in Washington Square West (707 Chestnut Street, 215-925-5555), fish, the sister of Mike Stollenwerk's Little Fish located near Graduate Hospital (1708 Lombard Street, 215-545-9600); Sauté, a New American BYOB in Queen Village (775 South Front Street, 215-271-9300); and Time, a self-described "restaurant, whiskey bar & tap room, and Bohemian absinthe lounge" in Midtown Village (1315 Sansom Street, 215-985-4800). The just-opened Bella Sera Cafe in Philadelphia’s Fishtown section (2146 East Susquehanna Road, 267-939-5178) sells gluten-free cheesecake among its other menu items. Thanks to Grub Street Philadelphia for the tip. Bella’s in Honey Brook, Pennsylvania (by appointment only, 484-467-1538) specializes in baking "celebration" cakes for weddings, birthdays and the like. Owner Lauren Cortesi's walnut dacquoise with milk chocolate buttercream and flourless chocolate cake are naturally gluten free, and she also offers vegan chocolate, vanilla and carrot cakes and cupcakes with gluten-free ingredients. Although Lauren does bake desserts that are not gluten-free in the same kitchen, she uses separate utensils and equipment for her gluten-free varieties. On the other side of the Delaware River, Diane’s La Patisserie in West Berlin, New Jersey (405 Bloomfield Drive, 609-560-4111) also bakes gluten-free special occasion cakes. While the bakery uses the same equipment for gluten-free and wheat products, owner Diane Nussbaum tells me that she cleans everything before preparing the gluten-free cakes and takes care to prevent cross-contamination. I've also added several area gluten-free friendly caterers in the Delaware Valley to what was previously the listing for Bakeries and Markets. Joe Palumbo's Mirabella Cafe in Cherry Hill, New Jersey is sponsoring another cooking class with Chef Tammy Hughel. The gluten-free three-course tasting menu will be available at the class, to be held on Tuesday, November 12. The class starts at 6 p.m. and costs $40. Reservations are suggested. With Fall in full swing, Moondance Heavenly Desserts has released its seasonal pumpkin cheesecake, spiced with cinnamon and nutmeg, in both 6-inch and mini versions. All of the cheesecakes and brownies made by Moondance, which I wrote about in May, are gluten free. They can be found locally at Whole Foods. Pei Wei's sister restaurant P.F. Chang's China Bistro is offering 20 percent off to members of its Warrior Card loyalty program on Saturday, October 31, whether dining in or taking out. Just show your card at time of purchase. 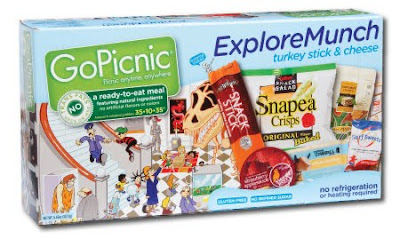 GoPicnic has its gluten-free SafariMunch on sale at its online store through Sunday, November 1 for $2.99 each. The ready-to-eat meal comes with tortilla chips and salsa, sunflower seed crunch, strawberry applesauce, snack mix and snickerdoodle cookies. Use code GLUTENFREE at checkout to get 20 percent off your order. Triumph Dining is offering free standard shipping through November 11 on the newly revised third edition of its Essential Gluten-Free Grocery Guide ($19.95), the fourth edition of its Essential Gluten-Free Restaurant Guide ($23.95) and its Gluten-Free Dining Cards ($18.95), which come in 10 languages for use in many ethnic restaurants. We've used the dining cards successfully for many years in American, Japanese, Thai and Chinese eateries. 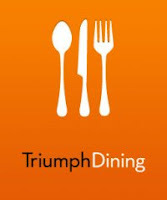 Just visit Triumph Dining's website, add your items to the shopping cart, enter coupon code NEWS389 in the shopping cart area and click the "Apply" button. All of the items come with a 30-day money-back guarantee. Finally this week, I wanted to share the link to a post from Lisa at Gluten Free Foodies, who is a Phillies fan living in the state of Washington. Celebrating the Phillies' World Series appearance, she wrote this week that she convinced the owner of her local pizza shop to create a gluten-free Philly Cheese Steak pizza. From the picture she posted on her blog, the pizza looks like a winner! Pei Wei Asian Diner is the casual offshoot of P.F. Chang's China Bistro, both of which offer gluten-free menu options. Pei Wei was established in 2000 in Arizona, and now has more than 150 locations in 21 states serving pan-Asian cuisine. Every item on the menu is priced under $10. Pei Wei offers the following gluten-free items: Vietnamese chicken rolls wrapped in rice paper, Asian chopped chicken salad, wok-seared spicy chicken and shrimp salads, spicy chicken and shrimp with chile vinegar sauce, and sweet-and-sour chicken and shrimp. My older son enjoys the Vietnamese rolls and sweet-and-sour chicken, which comes with a side of brown or white rice. While extra chicken and shrimp can be ordered for an additional charge, the regular portions are generous. When eating in, diners place their orders at a counter, where they're handed order numbers. Customers then place the numbers in stands at their tables in the dining room so that servers can bring the food as it's finished cooking. At this screen, you can select the quantity and customize your order. After adding all items to your order, select "Checkout" on the right. If you already have an account, you'll enter your information on the next page; if not, you'll be prompted to create an account. You are then asked for your payment method (at the restaurant or in advance by credit card), followed by a page asking you to review and submit the order. Of course, if you don't want to set up an account, you can always order the old-fashioned way and call it in! I like ordering online because it allows me to customize orders and ensure that orders are placed accurately. If you haven't already tried online ordering from Pei Wei, you can receive 25 percent off your first order under $100. Hurry, though, because that discount offer expires on November 1, 2009. UPDATE (11/2/09): Congratulations to reader Daniella, who is the winner of the cookbook! No one has ever mistaken me for Emeril Lagasse (or anyone named Emeril, for that matter), but I do whip up some mean pancakes. Despite my prowess at cooking scrambled eggs, french toast and other breakfast foods, I haven't been so bold as to attempt making pasta, bread and other Italian staples. For the more adventurous among us, there's a newly released cookbook that can help. 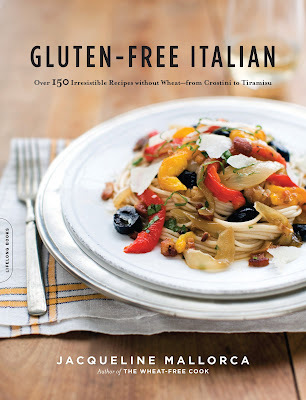 Da Capo Lifelong Books has just published Gluten-Free Italian, now available at Amazon.com and other retailers. The more than 150 recipes in the cookbook include Gorgonzola Ravioli with Asparagus Sauce, Spinach and Ricotta Gnocchi with Sage Butter, Caramelized Butternut Squash Risotto, Chocolate-Dipped Hazelnut Cookies and Almond-Ricotta Cake. Gluten-Free Italian also includes a gluten-free shopping guide, cooking tips, Italian pantry staples, a glossary of alternative grains and flours, mail-order sources and celiac resources. The 248-page cookbook is written by Jacqueline Mallorca, formerly an editorial assistant to culinary legend James Beard and a food columnist for the San Francisco Chronicle. Ms. Mallorca is the author of The Wheat-Free Cook, which was selected by celebrity chef Sara Moulton on Good Morning America as one of the top 10 cookbooks of 2007. The cookbook's publisher has been kind enough to offer one lucky Gluten Free Philly reader a copy of Gluten-Free Italian. To enter the giveaway, leave a comment to this post about your favorite Italian food item. The giveaway runs now through Sunday, November 1 at 11:59 p.m. Eastern Time. I’ll randomly select one winner the next day and will contact them by email. If I don’t hear back from the person with his or her mailing address by the following Tuesday at 8 p.m. Eastern, I’ll select another name. Good luck and buon appetito! Phillies fans throughout the Delaware Valley can momentarily catch up their sleep now as the Fightins ready for another World Series appearance and (fingers crossed) another championship. Having suffered through many miserable summers of baseball growing up in Philadelphia, I'm happy that my kids have been able to celebrate a winning franchise for most of their young lives. On Monday, I wrote about several gluten-free products imported from Italy, including a fantastic corn pasta called Le Veneziane. The pasta, crackers and cookies I reviewed are available through Quattrobimbi Imports and can be ordered through the company's website. The original post has a couple of discount codes that can be used at checkout there. In restaurant news, Bugaboo Creek Steak House, with local outposts at the Franklin Mills Mall in Northeast Philadelphia and in Newark, Delaware, has added several new items to its gluten-free menu. I also added a new coffeehouse to the restaurant list: Higher Grounds Coffee House in West Cape May, New Jersey (479B West Perry Street, 609-884-1131). Gluten-free bagels, brownies, scones and cookies are available there. The Press of Atlantic City ran an article this week on the availability of gluten-free dining options at Calabria Pizza Italian Grill in Absecon, New Jersey and restaurants at Harrah's Casino Hotel in Atlantic City. Last week, I mentioned that my local Target began stocking gluten-free groceries. There were some other items that I didn't notice the first time around. The biggest bargain was Annie's macaroni and cheese, priced at $1.21! The store is also stocking Betty Crocker dessert mixes, Cherrybrook Kitchen dessert mixes and frostings, Namaste baking mixes, Gluten Free Pantry mixes, Maple Grove Farms pancake mix, Bob's Red Mill oats and Glutino pretzels. Reader Jen attended one of the Disney on Ice shows at the Wachovia Center last weekend with her son, who was able to enjoy a gluten-free hot dog there. It looks like the gluten-free items are available for all events at the arena. Next week, I'll have another Goodies Giveaway to announce, so stay tuned. Don't be shy about sending in comments, tips and suggestions to gfphilly[at]gmail[dot]com. It had been a while since our family last tried gluten-free pasta made from solely from corn. Years ago, we tried DeBoles corn spaghetti-style pasta but were not impressed. 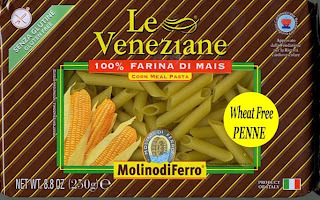 So it was with some skepticism that we used Molino di Ferro's Le Veneziane gluten-free penne, made from 100 percent corn flour, as part of a family pasta dinner that also included a lasagne made with BiAglut egg noodles. It was the first time we had used pasta from either brand. Not only was the Le Veneziane an excellent corn pasta, I thought it was among the best gluten-free pastas of any kind we've had. I added the contents of a 9-ounce package of penne to a pot of boiling water with a bit of salt, cooking it (and stirring occasionally) for 12 minutes to taste. I cooked the BiAglut lasagne sheets in water for 15 minutes before assembling the lasagne ingredients - pasta, spicy turkey sausage, low-fat ricotta and mozzarella cheeses, and tomato sauce - in a pan, which I baked for 40 minutes. I had some trouble separating the sheets of pasta after cooking them, so I had to double up the pasta layers in spots, making the lasagne a bit uneven. The lasagne noodles are made of a blend of corn starch, eggs and potato flour. The BiAglut was fine (I thought it was better than the Tinkyada brown rice version), but I was more impressed with the Le Veneziane pasta. BiAglut also makes gluten-free macaroni without eggs. Le Veneziane pastas, BiAglut pastas and crackers, and crackers and cookies made under the ZeroGrano brand by Galbusera, are imported from Italy. These products are distributed in the United States by Quattrobimbi Imports, the company which sent me samples from each brand for review. 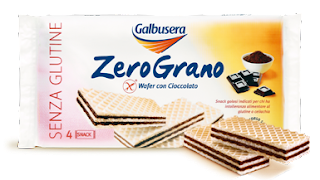 The ZeroGrano chocolate wafers were reminiscent of glutenous sugar wafers. I happened to enjoy the ZeroGrano rosemary-seasoned club-style crackers, but my older son didn't care for them. While he liked the BiAglut crackers, I thought they were bland. At the moment, there are no stores in the Delaware Valley stocking products from these companies. The products can be ordered direct from Quattrobimbi's website. The company has two discount offers: for $10 off an order over $60, enter code FALLSALE at checkout (expires November 7, 2009); for 10 percent off your entire order, enter code SAVE10. For those who cannot consume gluten, the selection of gluten-free beers is rather limited. On the other hand, the availability of safe ciders is much more widespread. Cider is an alcoholic beverage made from the fermented juice of apples. Alcohol content for most ciders - in the mid-single digits - is less than for wines, which are fermented from grapes. Traditional ciders, like those from Farnum Hill Ciders, are made from cider apples, while others are made from varieties like Granny Smith (Original Sin Hard Cider), English Bittersweet (Woodpecker English Cider), or both (Cider Jack Hard Cider). Ace Cider, Fox Barrel and Wyder's Cider styles come in such flavors as black currant, pear and raspberry. Perhaps the most widely available domestic ciders, both in bottles and on draft, are those from Woodchuck Draft Cider, out of Vermont. 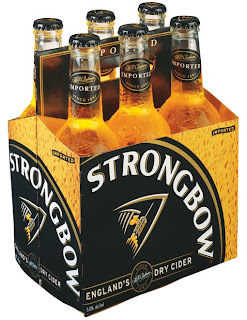 Strongbow, which is the most popular cider in the United Kingdom, is available as an import in the United States, as is Ireland's Magners Irish Cider. Since restaurants, beer distributors and liquor stores in the Delaware Valley frequently rotate their offerings, it's best to call ahead to see what might be available. Restaurants such as The Ugly American, Devil's Den and Memphis Taproom in Philadelphia often have gluten-free ciders on their beverage lists. With the start of two more sports seasons in Philadelphia - Flyers hockey and 76ers basketball - the Wachovia Center becomes the third professional sports arena in the city to offer gluten-free options for fans. Grilled chicken sandwiches ($6.00) and hot dogs ($4.00), both on gluten-free buns, are available at the "Fan Favorites" concession stand on the concourse level at Section 122. Redbridge beer and Woodchuck hard cider ($6.75 each) also are for sale there. The "Fan Favorites" stands at Sections 104, 110 and 116 serve Redbridge as well. Other gluten-free foods available throughout the arena include TLC's Polish Water Ice and Cracker Jack. The members-only Cadillac Grille restaurant, on the arena's club level, is a participant in the National Foundation for Celiac Awareness's GREAT Kitchens program. Post-Appetite for Awareness, it's a shorter News & Notes post this week. On Wednesday, I recapped last week's event at the Wachovia Center in Philadelphia. I promise to add the participating eateries to the Gluten Free Philly restaurant list in the coming weeks; the restaurants have been trained on protocols for gluten-free food preparation and serving through the NFCA's GREAT Kitchens program. About 1,200 people attended the event, which raised more than $300,000 in funds to be used for celiac awareness campaigns and programming. For the second year in a row, Vetri’s chef Brad Spence won the cooking competition and the title of "Best Gluten-Free Dish." 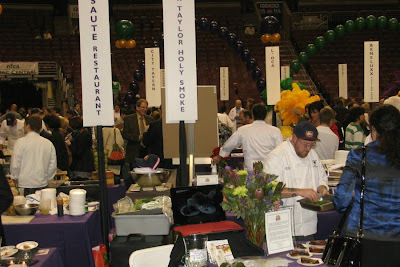 His Pork and Ricotta Meatballs with Smashed White Beans and Ricotta Salata received "Best in Show" from the judges. Also repeating as the "People’s Choice" award winner was chef Pasquale Masters of Pasta Pomodoro, who prepared Pollo Alla Vodka with Gluten-Free Penne. I did add one restaurant to that list this week. Vintage Rose Tea Room in Millville, New Jersey offers a gluten-free menu with 24 hours notice. Congratulations to reader Sherazada, who's the winner of last week's Goodies Giveaway featuring Betty Crocker fruit-flavored snacks. I received a email from the regional distributor of French Meadow Bakery products letting me know that the company's brownies and chocolate chip cookies are available at Philadelphia-area Acme Markets. GoPicnic, which makes ready-to-eat gluten-free meals that I wrote about last month, has a great deal running now through Sunday on ExploreMunch. That's the package with a turkey stick, cheese slice, applesauce, snap pea crisps, sunflower seed crunch and gummy bears, and it's on sale for $1.99 each (regularly $5.99 each). You can use promotional code KIWI for an additional 20% off your order. Udi's Gluten Free Foods, which I reviewed last week, is offering 25% off shipping charges. The promotional code is 25 Percent Off Shipping. Have a great weekend - go Phillies! 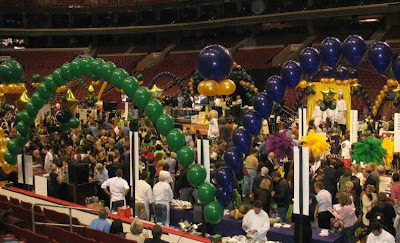 If the large crowd on the floor of the Wachovia Center was any indication, the Appetite for Awareness event on Wednesday evening was a rousing success. I'll post a recap of the festivities next week, but among the product highlights were mini frosted donuts from Sweet Christine's Gluten-Free Bakery, Shabtai Gourmet's black-and-white cookies and top-and-bake pizza shells from Violet Packing. I'll also be adding the many area restaurants who competed in the Gluten-Free Cooking Spree to the Gluten Free Philly restaurant list shortly. 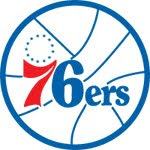 Emcee Marc Zumoff, the television voice of the Philadelphia 76ers basketball team, announced to the delight of the crowd that gluten-free food will be available at 76ers and Flyers home games this season. I'll let you know when I find out which stands will offer it. There's still time to enter the latest Goodies Giveaway from Gluten Free Philly - a Betty Crocker "Simple Joys" prize pack that includes two packages of Betty Crocker Fruit-Flavored Snacks, a retro Pick 'em Up Sticks game, a light-up yo-yo and a classic Frisbee. The deadline to enter is Sunday, October 4 at 11:59 p.m. Eastern Time. On Wednesday, I wrote about some impressive gluten-free bread and muffins from Udi's Gluten Free Foods. The white sandwich bread was soft right out of the bag and did not require toasting or warming. Butterflies Healthy Food, a new healthy-style "fast food" restaurant in Skippack, Pennsylvania (4019 Skippack Pike, 610-222-2111) offers gluten-free menu options. The new restaurant was profiled in Monday's edition of the Norristown Times Herald. 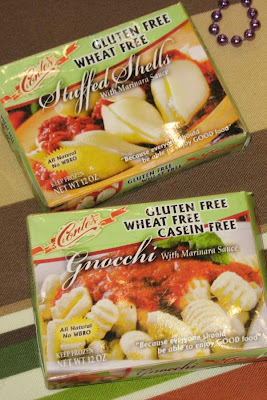 Mom's Bake At Home Pizza locations in Chestnut Hill, Devon, Havertown, Newtown Square and Thorndale, Pennsylvania now have gluten-free pasta dinners from Conte's, including lasagna. 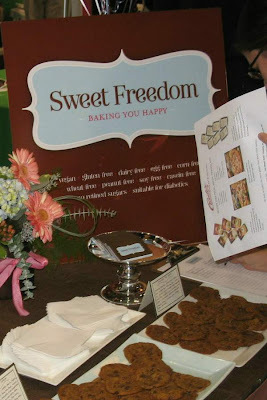 Grub Street Philadelphia has more on the gluten-free offerings at Sweet Freedom Bakery, which, as I mentioned last week, is planning to open in November on Philadelphia's South Street. I had a chance to speak with the owners at the Appetite for Awareness event and they are busy getting ready for a early November opening. I also learned this week that My Gluten Free Baker in West Chester, Pennsylvania will be opening a retail store in Chester County in 2010. Trader Joe's in West Windsor, New Jersey (3528 U.S. 1 - Brunswick Pike, 609-897-0581) is now open. While I have not been to an Eagles football game this year, my contact at Aramark, the stadium concessionaire, tells me that the gluten-free items available at the "Philly Favorites" stand near Section 117 are posted on the menu board there. In gluten-free beer news, the Great American Beer Festival wrapped up last weekend and the judges awarded two medals to The Alchemist Pub and Brewery in Waterbury, Vermont: a gold for its Celia Framboise and a bronze for its Celia IPA. Redbridge from Anheuser-Busch took the silver. North Wales: Friday, October 2 - 1 p.m. to 3 p.m.
South Street: Saturday, October 10 - 1 p.m. to 4 p.m.
Jenkintown: Wednesday, October 14 - 4 p.m. to 7 p.m.
Wynnewood: Friday, October 16 - 3 p.m. to 6 p.m.
Marlton: Thursday, October 22 - 4 p.m. to 7 p.m. Contact the individual store to register (if necessary) and for additional information. Unless otherwise noted, the discounts will be reflected in your cart at checkout. All offers expire on October 31, 2009.